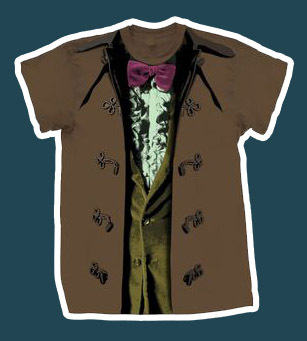 Forbidden Planet’s relentless release of The Doctor costume t-shirts continues with the upcoming Third Doctor (see below). 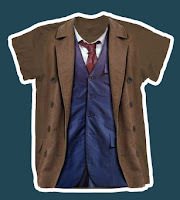 It represents Jon Pertwee’s costume as specifically seen in Frontier In Space, the only times the combination of green Smoking Jacket, brown Inverness Cape and velvet bow tie were seen on screen together – although the bow tie worn in the episode was not the wine colour shown here. 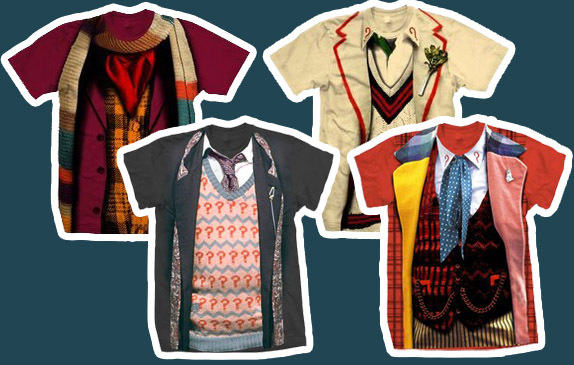 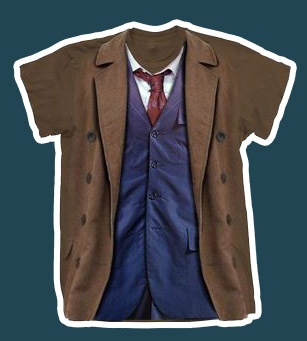 Also released at the same time will be the Tenth Doctor’s costume shirt, with the less common blue suit with Nina Ricca tie. So far Forbidden Planet have issued Four, Five, Six and Seven, and now they have added Three and Ten, the collection is starting to come together!